Your Bike Team has to be ready! Police Patrol, Public Safety and Duty Bikes and Accessories. Duty Gear for today's Professional First Responder. Shop with us, The leader in Police Bike Sales and Customer Service. 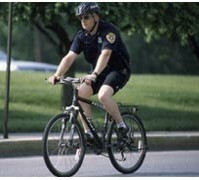 On our site, you will find Police Bicycles from the industry leaders and Duty Gear for the police bike officer with all the professional gear that keeps your squad equipped. Also, Fire Dept / EMS Bikes, bags, uniforms and lighting. Starting January of 2019 we are in the Houston area. On the Road servicing of your Bike Patrol Squad. Tune ups, bike builds, parts and accessories updated or replaced. New GlassParency installs for the safest windows for your vehicle fleet. Contact us to come to your Dept. Proud member of the International Police Mountain Bike Association Product Purchase Program ask about our IPMBA discounts. Be an IPMBA member or Renew your membership click here to Join. Going to Forth Worth Texas April 8-13, 2019. New Products coming from Boston Bill Sunglasses and Bellwether Uniforms. We outfit your squad from head to toe. Thats just what we do! Your source for the widest selection of Police Bike and Duty Gear available online. Police Bike Models from entry level Force Patrol, Haro. Kona and Premier Fuji Duty Bikes. We have all sizes and all the brands you need for a department, squad or team. All Duty Police Bikes are available with your choice of Police, Sheriff, EMS, Security or Ranger Decals (customizing is also available). Helmets, Racks and Packs, lights and sirens, also accessories for your bike maintenance officer to keep your bike squad tuned and running well. 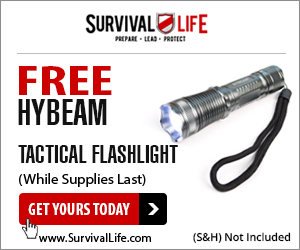 Look for your department tactical radio components here. A great item for bike teams is the Scorpion wireless microphone that fits most all radios. Uniforms for Bike Patrol and squads from Mocean the leader in Bike Patrol clothing, Bellwether, 5.11 and More. Socks and shoes perfect for bike patrol members. We really do have Head to Toe outfitting for your team. We offer pricing for City, State and Government Law Enforcement and Public Service Agencies. Contact us for Custom Quotes via email LCGInc @SBCGlobal.net or Call us at 501-517-5338. No hype, no gimmicks, no special pricing. Everyday low pricing. When we get breaks from the manufacturer we pass them to you. We owe that to you. Tell us your plan and we will return custom quotes to submit to your procurement officer or quartermaster. We accept official Purchase Orders* and are DUNS and CCR/SAM registered. R&B Fabrications preferred dealer. High Performance and rugged dependability. R&B Bags and Packs for Fire and EMS teams to carry the gear you need. R&B Fab another Veteran owned US company. We are not just a Police Bike website, we are owned by a retired Military Law Enforcement Officer, Court Security Officer for the US Marshals Eastern District of Arkansas and a bike shop owner. As a direct purchaser from the manufacturers. We can meet your orders of any size. Our customer service sets us apart from the average police bike store. Shop the others first if you like then give us a call and compare. We want your business. For the maintenance officer. Our friends at BikeDuty.com have a library of bike repair videos all in one place for your convenience. If you are in Arkansas visit our shop at Mikes Bike Shop. 702 Smith Lane, Haskell Arkansas or see us on the road as we travel the USA. We are a full line Fuji, SE, PHAT and Breezer bike shop. We are Service Disabled Veteran Owned, Retired LEO small business and FOP member. We support The United States of America and our Armed Forces defending freedom around the world and our First Responders that put their lives on the line daily for our protection.